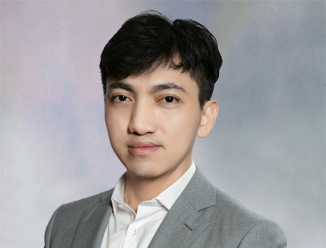 Taipei – With public awareness of environmental protection increasing and green building initiatives on a clear government agenda, green building concept is increasingly gaining spotlight in the society. CBRE published a whitepaper entitled “Towards Excellence: Market Performance of Green Commercial Buildings in the Greater China Region” in conjunction with U.S. Green Building Council (USGBC). The report aims to analyze market performance of LEED-certified Grade A office projects in ten major markets in the Greater China region, along with Hong Kong and Taipei through a number of indicators such as rental premium, rental growth and occupancy rate, attractiveness to high-quality tenants, underlining their competitive strength in today’s commercial real estate market. ​​In the ten select cities we observed, rentals premium of LEED-certified Grade A office in most cities is in the range of 10-30% comparing to non LEED-certified samples. LEED-certified office projects enjoyed higher average rental performance and were in a better position in a weak downward market. Beijing, Shanghai, Guangzhou and Shenzhen top the market with the fastest pace of increase in the number of LEED-certified buildings. LEED-certified Grade A office buildings in the four tier I cities aggregately amount to 3.84 million sq. m., accounting for more than 70% of LEED-certified buildings among the ten select cities. Committed to creating a new building economy, promoting economic restructuring and pushing for sustainable development, Chinese government is increasingly supportive of green building initiatives. Local governments have started to provide policy support, such as introducing subsidy policy to reward projects with LEED certification. LEED promotion and certification started rather late in Hong Kong and Taipei. However, LEED has recorded considerable development since then. LEED-certified Grade A office space in Hong Kong and Taipei registered an average annual growth rate of approximately 28% and achieved a 30% rental premium. Greater awareness among the public and enterprises of environmental protection and sustainable growth will play a positive role in promoting increased market acceptance of green buildings in the region. During recent years, office supply in major domestic cities increased significantly while the pace of economic development continued to slow, posing increasingly severe challenges to the performance of demand for office space in tier II cities. Against this background, commercial green building certification is considered to be an embodiment of social responsibility, as well as a way to boost the brand image of projects and businesses, an effective means to attract a high-quality tenant mix by creating a differentiating aspect to help define a building’s unique position in the market. As such, LEED certification has been attracting more and more attention from developers. CBRE’s statistics indicate that LEED-certified Grade A office buildings exceeded 5.6 million sq. 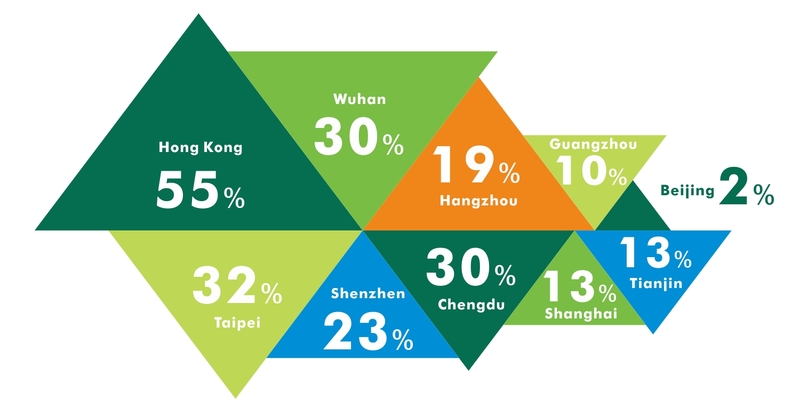 m. across ten select major cities in Greater China by 2015, a year-on-year increase of 7.4%. This accounts for 28% of the total Grade A office market and reveals a development trend of steady growth. Mainland China tier 1 cities top the market with the fastest development trend of steady growth. The relatively higher proportion of foreign enterprises in Grade A office market in Shanghai gives rise to higher requirements on the sustainability of building amenities and facilities. LEED-certified office projects in Shanghai recorded a 13% rental premium and experienced a rapid rental increase, 15 percent higher than that of non-LEED certified samples. LEED-certified Grade A offices in Beijing recorded the lowest rental gap among tier I cities as Beijing has seen rental hovering at a plateau for several years. Property owners of LEED-certified office buildings have limited ability to further raise rents due in part to the restrained rental affordability of tenants. Even so, LEED certification has gradually become a popular choice for new buildings. LEED-certified Grade A offices account for 38% of the total Grade A office floor area in Beijing in Q12016, as compared to only 17% in Q1 2008. Chengdu, Tianjin, Hangzhou and Wuhan, as a representative of the tier II city markets, is still in the emerging stage as a whole as LEED certification only began around 2011 in these cities (excluding Hangzhou). LEED-certified Grade A office buildings cover a floor area of less than one million sq. m. in total. As LEED certification is increasingly becoming a differentiator in balanced or tenant markets (the four select tier II cities all fall under this category) where tenants typically have more options, LEED-certification will allow buildings to stand out from the competition in terms of occupancy rate and its growth margins, serving as a positive indicator of prospective rental growth to a certain extent.